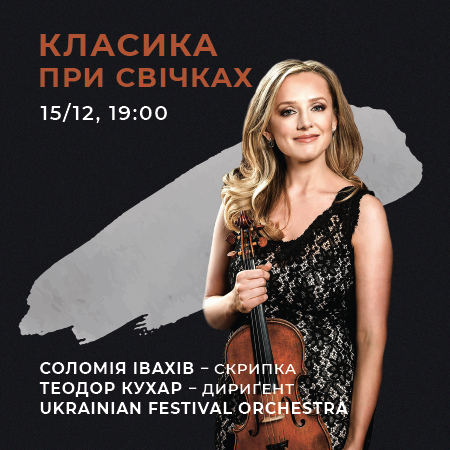 Two great stars of classical music who live with Ukraine in the heart - violinist Solomiya Ivakhiv and conductor Theodore Kuchar - will play with the Ukrainian Festival Orchestra in the Lviv Organ Hall. The program includes a Violin Concerto in D minor wich F. Mendelssohn wrote at age 13 and his Sinfonia No. 9. The second department will open HavanaiseBy C. Saint-Saens. And the main part of the evening will be the Concerto for String Orchestra (1920) by M. Bruch - the Ukrainian premiere!Concerto in a minority that Felix Mendelssohn wrote at the age of 13, as well as his exquisite Synphony # 9. The second department will be opened in a graceful and fast-paced play by Havanez of Camille Saint-Saens, and the crochet of the program will be the last work of Max Bruh - Concerto for string orchestra, written in 1920. This work will sound in Ukraine for the first time! 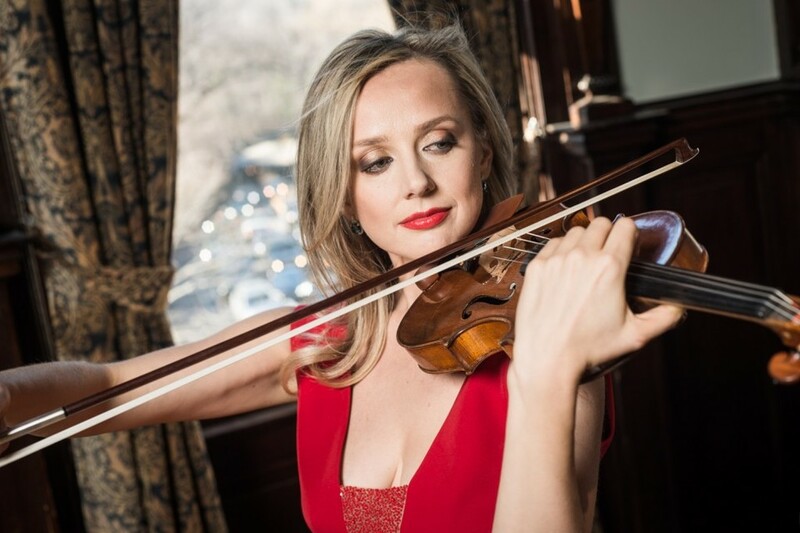 Violinist Solomiya Ivakhiv has quickly earned a reputation for performing with “distinctive charm and subtle profundity” (Daily Freeman, New York) and a “crystal clear and noble sound” (Culture and Life, Ukraine). Known for her work as a soloist and chamber musician, Solomiya Ivakhiv has performed at Carnegie Hall, Merkin Concert Hall, CBC Glenn Gould Studio, Curtis Institute Field Concert Hall and others.Featured appearances at prestigious national and international chamber music festivals. A dedicated champion of new music, Solomiya Ivakhiv has been privileged to premiere numerous new works for violin by composers Eli Marshall, David Ludwig, John B. Hedges, Bohdan Kryvopust etc.Ms.Ivakhiv has also been Artistic Director of Music at the Institute (MATI) Concert Series in New York City since 2010, where she is a frequent performer.Ms. Ivakhiv is the recipient of several international honors, including the Sergei Prokofiev and Yaroslav Kocian International Competitions, the Fritz Kreisler and Charles Miller Award from the Curtis Institute of Music etc.Ms. Ivakhiv is Assistant Professor of Violin and Viola and Head of Strings at the University of Connecticut and Professor of Violin at Longy School of Music of Bard College. 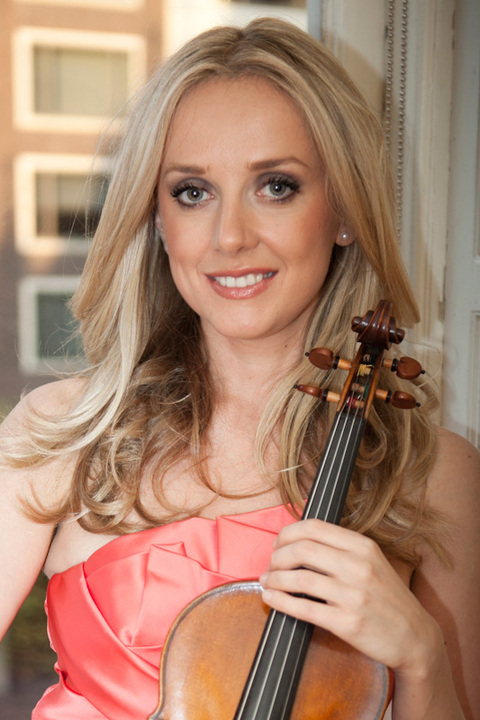 She graduated with honors from Curtis Institute of Music, received her Master of Music degree from M. Lysenko Music Academy in Lviv, Ukraine and holds a Doctor of Musical Arts degree from Stony Brook University. 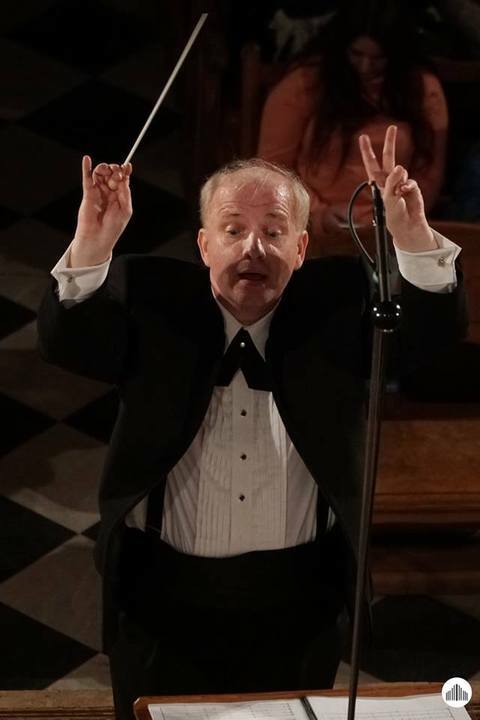 The multiple award-winning conductor Theodore Kuchar is the most recorded conductor of his generation and appears on over 110 compact discs for the Naxos, Brilliant Classics, Ondine and Marco Polo labels. 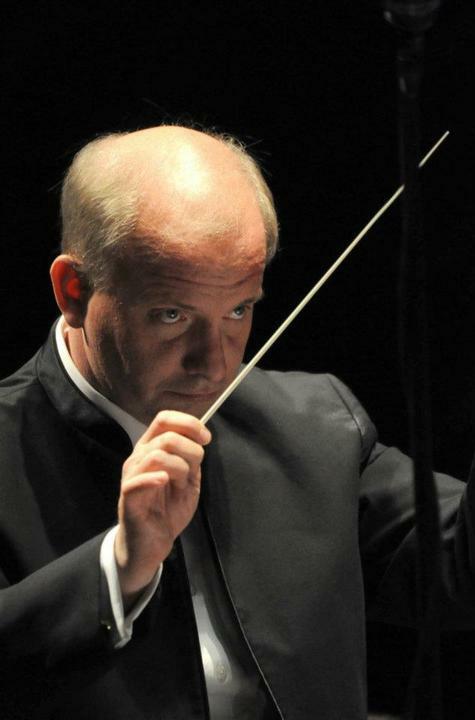 Mr. Kuchar’s longest titled affiliation and relationship is with the National Symphony Orchestra of Ukraine, of which he was appointed the Artistic Director and Principal Conductor in 1994. They have appeared together in over 300 performances, in Kyiv and on tour on four continents while their discography totals over 70 compact discs. Most recently, they completed a 44-concert tour of North America under the auspices of Columbia Artists Management in January-March, 2017. He has served as the Principal Conductor of major orchestras in Australia, Europe, South America and the United States of America. Ukrainian Festival Orchestra is an orchestra which has grown from the Collegium Musicum Chamber Orchestra, and has already collaborated with world-famous musicians: Vadym Kholodenko, Corey Cerovsek, Theodore Kuchar, Noah Bendix-Balgley, Sigiswald Kuijken, Andrey Gavrilov, Lev Markiz and others.